What makes a GREAT group photo? 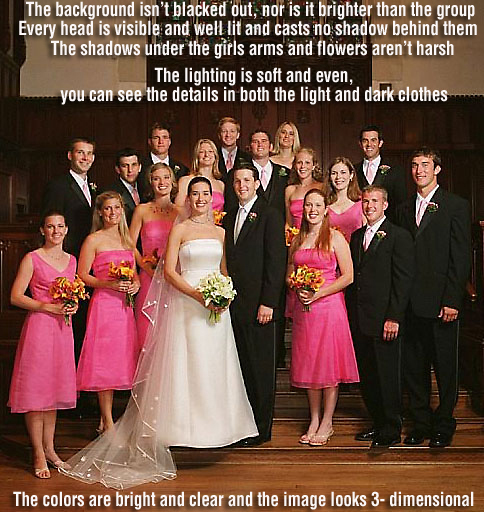 This is basic photography 101, so why do some wedding photographers do such a poor job on the group shots? Laziness? Ability? Equipment? It takes extra effort to do it right! As a photojournalist, group shots are not my strength but I work my hardest to do the best job possible on all your wedding day photographs. I am continually going to educational classes to improve my abilities. I have seen photos from 'professional' photographers (charging over $2,000 just for their time on the wedding-day) and their group photos were shot with one very bright flash on top of their camera which made a bright, burned-out area in the center of the photo against a dark background and created big harsh shadows behind every head and under every arm, some heads were not totally visible and some were in the dark, some of the photos gave the people 'raccoon' eyes, where their eyes look like they were replaced by dark circles. Some photographers will use an inexpensive wide-angle lens for the group photos (so they can easily get everyone in the photo) problem is it will distort the image on the sides. The end result is the people standing on the left or right side of the group look unproportionally wider and taller than the rest of the group. 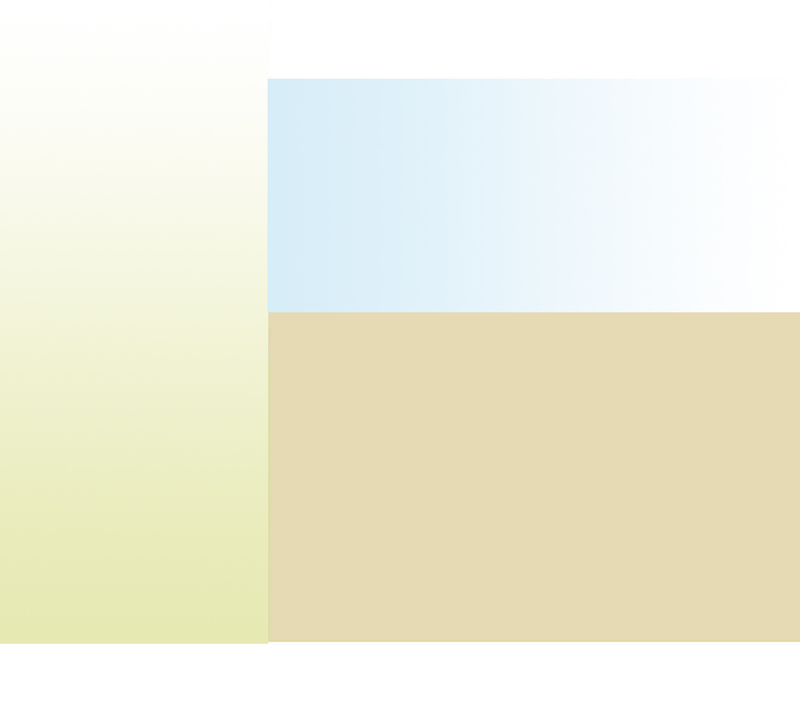 It will also distort vertical lines so it looks like the walls of the church are leaning. Too often poor-quality group photos look dark and the colors look faded and there are no details in any of the clothing. To add insult to injury we have heard of situations where this same photographer will waste a lot of time fussing over the 'poses' and ends up making everyone late for the reception. Sadly, in the end the bride ends up wasting good money on mediocre-quality wedding-day photographs. Don't let this happen to you, take the time to do your homework so you get it right and really know what you are really getting.